Do you ever find it tough to keep your audiences awake and engaged at your event? Everyone from wedding planners to corporate event planners have started to use social media walls to provide their attendees an awesome way to interact at their events. Here at Tint, we’ve seen brands use social media walls on TV monitors and projectors to display the event’s official Facebook feed, the speaker’s Twitter feed, the sponsor’s Instagram photos, or even tweets/photos your attendees are sharing via hashtags you specify. However way you use it, social media walls are an excellent way to get your audiences talking and sharing more about your event (which means more free PR)! 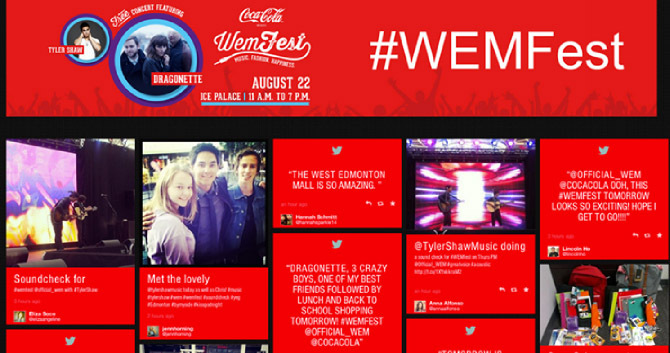 Without further ado, here are 6 ideas on how to use social media walls at your next awesome event! The most popular way to use social media walls at events. Create a unique hashtag catered to your event and whenever an attendee uses it on their tweet or Instagram photo, it will automatically stream into the event wall/TV screen. What’s great is that whenever an attendee sees they have the chance for their 15 seconds of fame on the big screen, they’re going to do so immediately! That means free PR with your hashtag while recognizing your attendees for their great content contributions. If you are sharing a lot of official updates during the event, social media walls are a great way to maximize the lifetime and reach of all your branded social media content via TV displays around the venue. 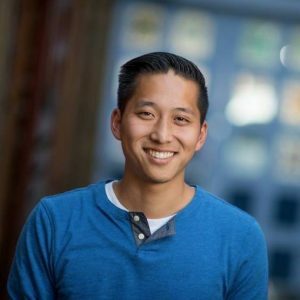 Connect your FB page, Twitter feed, Instagram, etc. and your attendees will never miss an update while walking around the event. Share announcements, prize winners, next speaker in line, etc. Want to offer your sponsors more than just digital signage at your event? Why not offer them a TV display or projector of all their Facebook posts, tweets, Instagram photos, Youtube videos, and much more through a social media wall? More eyeballs guaranteed because social media walls contain dynamic, interactive, social content! A great way to also expose their content while providing your audiences an insight to what your sponsors share/talk about on social media. Have some great speakers lined up for your conference event? Curate them into a Twitter List and connect that List onto a social media wall. Now you and your audience will never miss a tweet your speakers are intelligently sharing! Your speakers will thank you as their social media accounts are exposed to thousands of attendees, which means more followers for them. If you’re hosting a cooking event and want to provide your audiences with more amazing content to engage with, you can always connect ANY industry related feeds (e.g. influential chef’s Instagram feeds or #cooking from Twitter). We’ve seen audiences just stand in front of screens watching the content stream in because they now have interactive content to read through and beautiful images to look at. 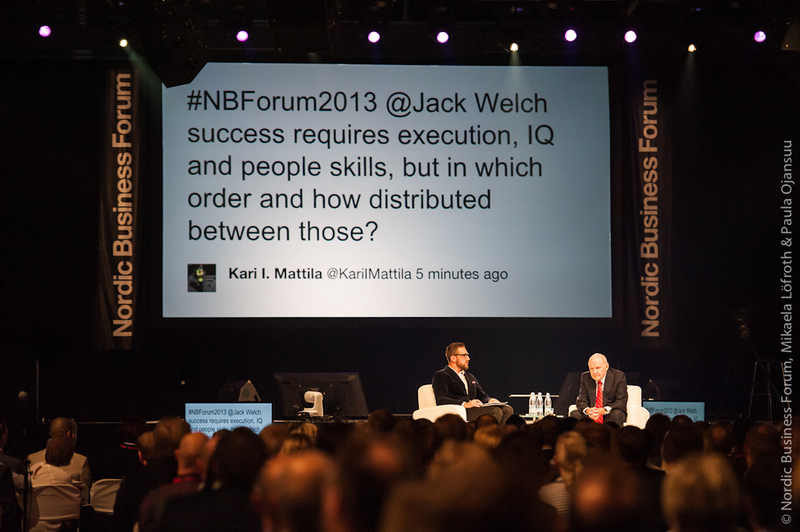 Have panels or discussions during your next conference/event? Instead of doing the archaic way of asking people to stand up and ask a question, tell them to tweet with your hashtag or @mention you on Twitter with their question. Then choose your favorite ones and display them on a big screen with your social media wall. This allows for quality questions to be answered (audiences will thank you since they’ll be learning more) and control from the moderator. Not to mention, you get free PR from all the audiences tweeting questions with your hashtag on Twitter. If you’re interested in utilizing a social media wall with any of these ideas listed above, our team at Tint would love to power one for you! 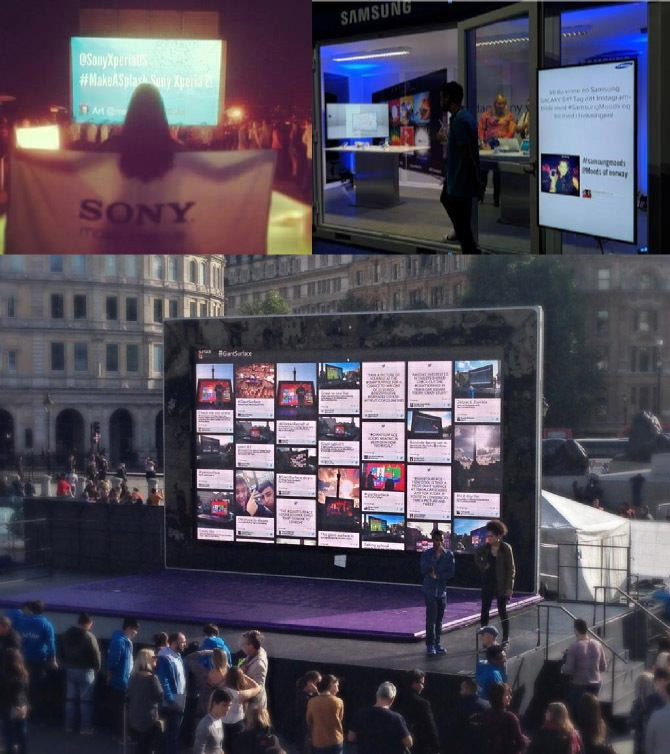 We’ve helped over 100+ brands successfully launch social media walls at their events that have increased their social influence and marketing efforts for their events, not to mention the engagement from their audiences. (All the image examples + ideas you see above were powered and can be implemented through Tint). How else have you seen events utilize social media walls at events? Did we miss any? Let us know in the comments below! Great ideas, thanks! The speaker Q&A is of particular interest. With an Event Coming Up … this was very timely, Thanks. Like the Hashtags idea. Awesome Keith– you’re very welcome. Great i’ll try this weekend on my club ! !